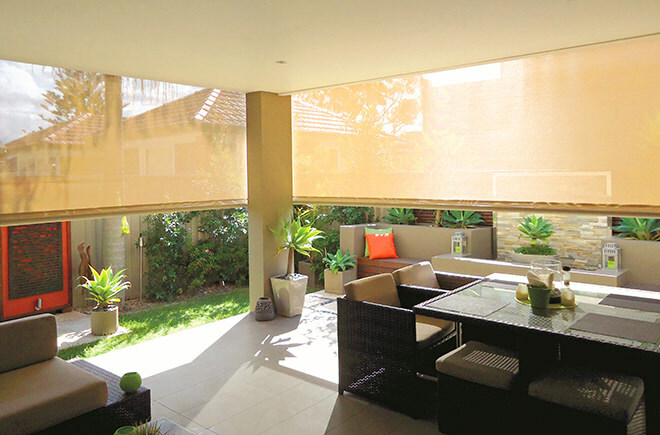 Ziptrak Blinds keep areas warm in winter and cool in summer. You can enjoy your outdoor lifestyle no matter what the season! It's very easy to control the blinds, just pull down or push up! Specially designed tracks on both sides of the blind enable the fabric to glide easily and smoothly. You can stop the blind anywhere you like! Ziptrak blinds can be secured and locked in the down position to guard against high winds and UV.